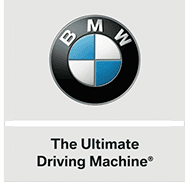 Explore the auto loan options that are available to you today, complete a BMW of Bloomfield online credit application now! Our new pre-owned dealership's finance department will receive and review your submitted material before reaching out to let you know more about the financing opportunities that are available to you. As your local BMW dealer, we're proud to assist all Newark, Clifton and Montclair, New Jersey drivers regardless of their current credit situation. Send an application to our team in Bloomfield whether you're interested in packages that complement your sub-prime credit rating or if you hold a healthy score. We'll negotiate the competitive loans that you deserve.